REGISTER YOUR ELIFOOT NOW AND WIN ACCESS TO ALL FEATURES IN THE GAME. USE YOUR CREDIT CARD AND RECEIVE RIGHT NOW YOUR REGISTRATION CODE. 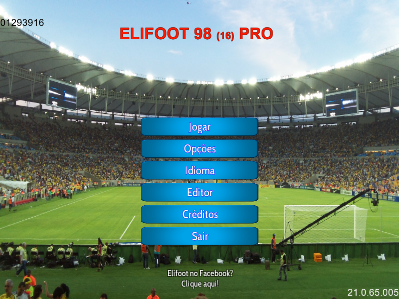 Elifoot is a football management game. Each player plays the role of a team coach and team manager, for each game of the league and the cup. All teams play in the same national or international league, The league has 14 journeys. 32 teams play in the league, distributed among four divisions. magayo Goal software is the best football app with football predictions for Windows computers. 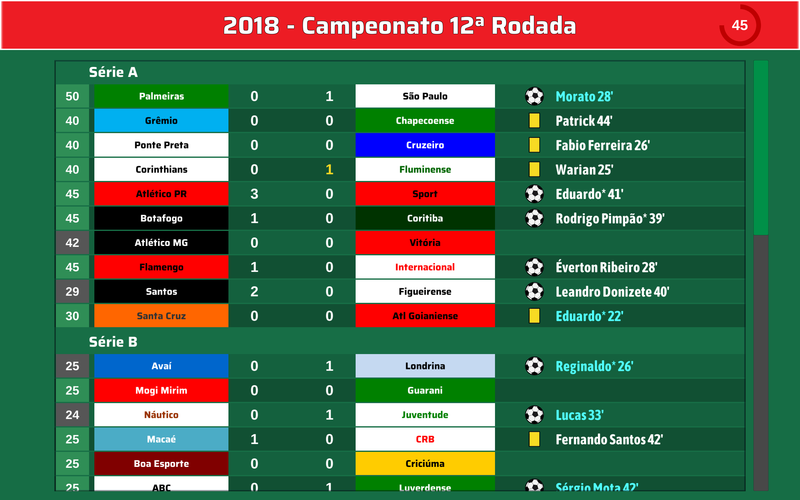 It provides the football results, fixtures, tables as well as football predictions and detailed statistics. magayo Goal football app will analyze the historical matches played and intelligently recommends the outcomes for the coming games. The football predictions include the full-time and half-time results (home win, draw or away win), the full-time score and the total goals. Comprehensive football statistics up to the last 10 seasons with graphical charts on the total goals, goals scored and goals conceded are further provided. You can also view the 1X2 statistics, the head-to-head analysis, the frequency of total goals as well as the frequency of the half-time and full-time scores. magayo Goal football app supports various football leagues such as English Premier League, French Ligue 1, German Bundesliga, Italian Serie A and Spanish La Liga. 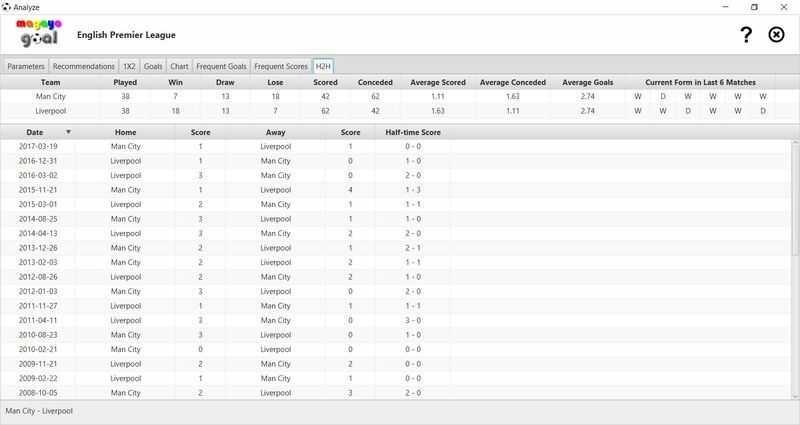 The football results, fixtures and league tables are automatically updated to save you the hassle of manually entering the data! Run for the Roses simulates a day at Americas premier racing venue, enjoying the exciting world of thoroughbred horse racing . Each race day is composed of 12 races of 7 to 12 horses competing in races ranging from 6 furlongs to 1-1/8 miles in length. This simulation includes 300 different horses and 20 different jockeys, each with distinct racing histories that shape their odds and on-track behaviors. Whether you’re an ace handicapper, or pick ‘em by color, Run for the Races fills the bill. Run for the Roses uses a complex set of algorithms, based on the racing form data, to carefully link a horse’s current performance with her past performance, based on data in the racing form. Of course, as in real life, there are random events within each race – so the favorite doesn’t always win. No handicapping experience is required to enjoy Run for the Roses. The less experienced handicapper may simply start the simulation and place wagers just as he or she might at a real racetrack – based on the color of the horse, name, jockey or recent racing record and without the risk of losing hard-earned cash. So get the gang together and see who’s the best handicapper! December 14, 2014 Games, Software, SportsXing Interactive B.V. 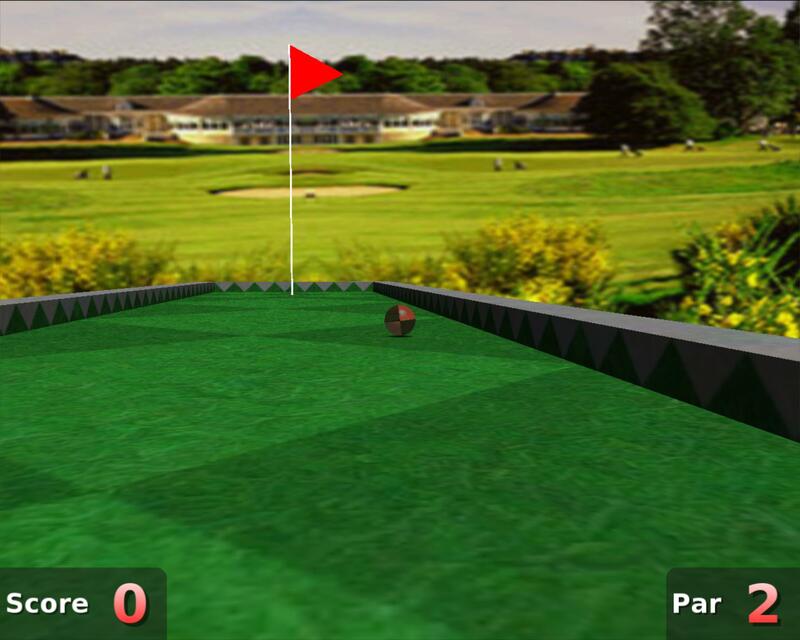 Brilliant 3D Mini Golf game! Play more then 75 different holes in 3 stages of beautiful scenery. Manage your favourite team and lead them to cup and league glory as player/manager! Thousands of players, hundreds of clubs and all fully customisable. EFM is a game which gives you the fun and enjoyment of running your own soccer club and playing their matches without the stress. An advanced chess engine. It is the most powerful chess simulator available on a personal computer, playing at grandmaster level at its top strength. NOTE: after purchasing the game, you’ll be get a special registration key. the game you’ve downloaded the full version. FishingSimulatorRelax its the simulator of fishing, which will permit you to relax from daily vanity. Beautiful landscapes, relaxing music, pipe of untiring birds will give you lots of impressions and will cheer you up even during a short term. All the music, presented at the game, is approved of principal psychiatrists and is recommended for listening in an effort to relax. Researches showed that 95% of men, playing this game during their working break, greatly raised their efficiency. Nothing can relax you so as nice music and fishing. Silent process of waiting for the moment when you understand that the fish was finally caught on your bait! And here it is- your fish! This game will allow you to have a rest from working vanity not going out from office or home. It will allow you to enjoy a nice nature, bird singing and also high-quality relaxing music, which is not only nicely to hear but useful. Many futures! This game greatly differs from ALL of its rivals. Here are only some of its advantages: 1) You can fish in different parts of the world, different reservoirs. 2) In a new version of the game you can fish even on Mars! 3) Altogether in the game envisaged 50 different places, suitable for excellent bite. 4) Photorealistic nature. 5) Live water. 6) You can catch any kind of fish. 7) Simple system of improvements will not force you to make a detailed selection of tackle. 8) Melodious relaxing music. 9) All the music is recommended with the leading psychiatrists. 10) Statistics in internet. 11) Internet competitions. Only at our fishing you can compete with other fishermen in facilities. Every region in the game is unique in its own way, but especially attractive is Astrakhan region and it is unimportant what you will choose: fishing on lower Volga or in its delta or even on Mars, you can be surged you will get lots of wonderful impressions from Fishing! For millions of men and women across the world, fishing is the number one way of escaping the hustle and bustle of hectic city life and the easiest way to get closer to nature. Unfortunately, most fishing fans simply don’t have time to make frequent and time-consuming long trips to their favorite destinations. 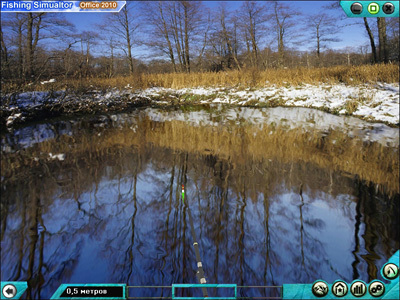 If you are one of those people who get carried away whenever they see a turbulent river or a placid lake and you can’t wait to cast your lucky bait to land a trophy fish, indulge yourself to Fishing Simulator 2! This great game features 50 picturesque fresh- and salt-water locations: from the emerald waters of the Carribbean seas to deep and silent Scottish lochs, from shallow mountain streams to giant reservoirs, from bottomless ponds to meandering rivers of the plains – you have a whole world to see! You can enjoy each location at a different time of the day and use a wide variety of tackle according to the fishing conditions. No matter what kind of fish you want to catch – from a tiny perch to a giant marlin – it’s all there! The game offers an amazing level of detail – both in terms of graphics and the realism of the fishing process – and makes sure you will never “come home” empty-handed. The relaxing soundtrack accompanying you throughout your fishing adventures and the quality of in-game graphics will be a pleasant surprise even for those users who have already tried several titles of the same kind. If you just love fishing in all of its forms and can’t afford frequent trips into the wild, get yourself a copy of Fishing Simulator 2! Just start it, cast the bait into the water, think about something pleasant and wait for your biggest fish… After all, all fishing fans know that the time spent on fishing isn’t counted into your age! Fishing Simulator – Sea Dream it’s the simulator of lake and SEA fishing, which will permit you to relax from daily vanity. Beautiful landscapes, relaxing music, pipe of untiring birds will give you lot of impressions and will cheer you up even during a short term. All the music, presented at the game, is approved of principal psychiatrists and is recommended for listening in an effort to relax. Researches showed that 95% of men, playing this game during their working break, greatly raised their efficiency. Nothing can relax you so as nice music and fishing. Silent process of waiting for the moment when you understand that the fish was finally caught on your bait! And here it is- your fish! This game will allow you to have a rest from working vanity not going out from office or home. It will allow you to enjoy a nice nature, bird singing and also high-quality relaxing music, which is not only nicely to hear but useful. 1) Real relaxation on the Sea! 3) You can fish in different parts of the world, different reservoirs. 4) In a new version of the game you can fish even on Mars! 5) Altogether in the game envisaged 60 different places, suitable for excellent bite. 8) You can catch any kind of fish. 9) Simple system of improvements will not force you to make a detailed selection of tackle. 11) All the music is recommended with the leading psychiatrists. 13) Internet competitions. Only at our fishing you can compete with other fishermen in facilities. 14) More friends in our fishing club! Every region in the game is unique in its own way, but especially attractive is Astrakhan region and it is unimportant what you will choose: fishing on lower Volga or in its delta or even on Mars, you can be surged you will get lots of wonderful impressions from Fishing!